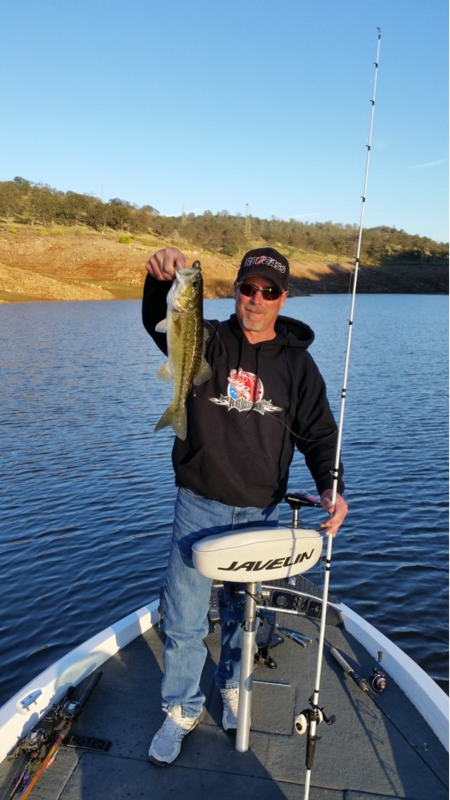 Winter is in full swing on New Melones lake, with levels on the rise and water temps hanging in the mid to low fifties. 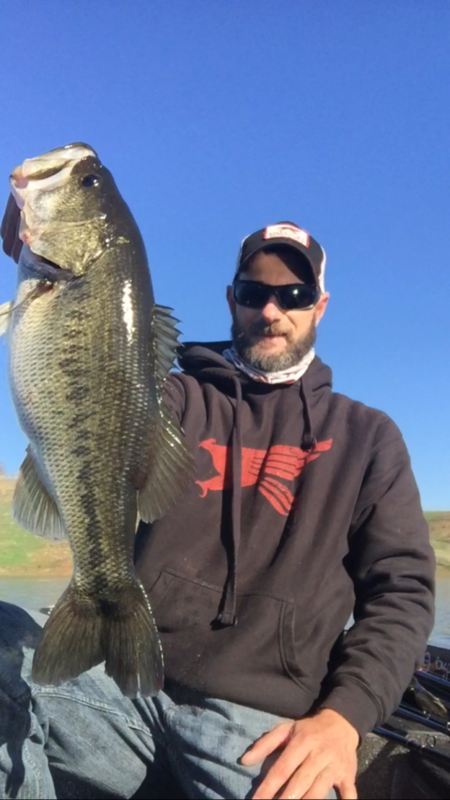 Although the temps are dropping the fishing has been heating up. Main lake is slightly stained along with most of the creek arms, upriver remains fairly clear for now. The trout plants have started and the larger bass have begun to move up to gorge on them. My last few trips have been most successful on clear days, fronts and prefrontal conditions have been negatively affecting the fishing. The fish I’ve been targeting have been rather shallow in the morning in the 5-15 foot range despite the low temps and moving out in the mid morning. Staying warm and comfortable has been key for me to be effectively fishing with air temps in the low 20’s at sunrise. Monsterfishingtackle.com has everything you need to beat the frigid temps. Hand warmers and gloves have been must for me. Some of my go to baits have been jigs early in the morning, swimbaits like River2sea S waver 200’s and Optimum thumper tail’s , Ive been using shaky heads when I see fish on the graph. The bite on jigs and plastics has mostly been a heavy pressure bite with an occasional thump. There are still also quite a few fish chasing balls of shad at the mouths of creeks and on main lake secondary points in 15-30 foot of water. 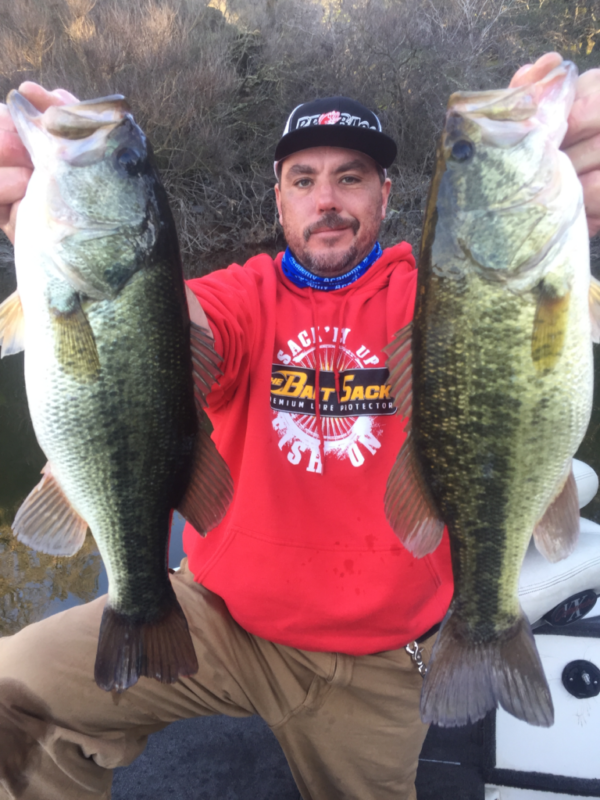 A rigs, crank baits and smaller swimbaits have been producing well on these fish, mostly spotted bass. My best fish have been on jigs and swimbaits early in the morning or late in the afternoon. Hope this helps and good luck out there! Stay warm!